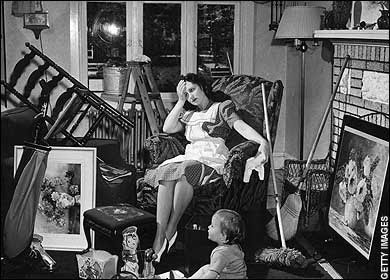 I've been occupied over the last several weekends with a huge decluttering, de-junking, and organizational project, which I like to refer to as The Great Purge of Ought Nine. In my last post, I discussed the decluttering of my garage and laundry room. 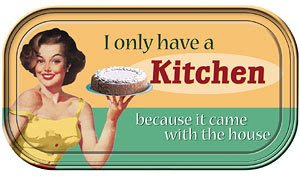 Today I’ll talk about how I conquered my kitchen. I decided to tackle the pantry first. I have a large pantry, and it’s just me and my husband, so this area collects a lot more junk than just junk food. I pulled out the non-food items first, which included all my seasonal tablecloths, holiday dishes, good china, cake stands, cake decorating supplies, candy making supplies, popcorn popper, cookbooks and more. Once I decided what to keep, what to toss and what to sell, I then moved on to the food items. I tossed anything that was past its expiration date. (There is a handy website here that will help you determine the shelf life of various items.) I felt bad throwing all that food away. If I had known those food items were in there, I would have used them, but the pantry was such a jumbled mess, I couldn’t see half of what I had. Lesson learned. Then I decided what each shelf should hold. The left-hand side of the pantry would be for non-food items. The middle and right-hand side of the pantry would be for food items. I put things that I use less-often, like seasonal items, on the higher shelves and things I use frequently on the middle shelves, so I would have easier access to them. One shelf was for all my baking supplies, another for all my candy making supplies, etc. By the time I was done, it was a calm, logical, organized thing of beauty. Next it was on to all the cabinets. Peter Walsh has some great tips and tricks to figure out what you really use and what you never touch, so that you know what to get rid of. I put all the weird kitchen gadgets and cooking utensils in the “sell” box, along with the pizza stone (never used), the fry cooker (unhealthy) and an assortment of coffee mugs (we don’t even drink coffee). Where do all these mugs come from? I only kept about a third of them, which are our favorites and the ones we use all the time. I organized all my special cake pans into one area, and went through my cookie cutters and only kept the ones I liked and used. When it came to the Tupperware, again, I only kept the useful pieces. The rest of them went into the “sell” box and I re-purposed a couple of them to be containers for smaller items in the laundry room, and for some of my cake decorating tools, etc. The end was near! Now all that was left were the miscellaneous areas. I got rid of a bunch of knickknacks and clutter on the counters, including the TV, which we never watched anymore. This freed up so much counter space, I felt like I’d gotten a new kitchen! I got rid of the junk drawer, which is something Walsh also recommends, since it’s just a catch-all for junk you don’t know what to do with. I threw away most of what was in that drawer. I like tea, and had acquired a collection of teapots (some of them decorative) and tea cups which were displayed on top of my refrigerator. I forced myself to make hard choices, and only kept the ones that were functional, that I liked and used. Walsh believes that visual clutter causes mental clutter, and I wholeheartedly agree. He uses this reasoning to get rid of all magnets, pictures, drawings and other assorted nonsense that gets attached to the outside of your refrigerator. Well, I downsized as many of the magnets as I could, but I just couldn’t bear to get rid of everything. I’m always putting up new pictures of my friends and their kids, and the drawings they make for me. And every single time I go into the kitchen, I look at it all, and it makes me smile. So that was one concession I made. The final step was to do some serious spring cleaning on the kitchen from top to bottom. I cleaned all surfaces, cleaned the inside of the refrigerator, and even conditioned my cabinets. When I first started decluttering the kitchen I was worried that I was going to have to get some organizational bins or shelf dividers. Surprisingly, no extra organizational items were needed really. I would like to make some little tiered stair steps for my spices, so you can see everything, and I would like to get a three-ring binder to put all my recipes in, but that’s about it. I did buy a couple of glass baking dishes to replace the cheap rusted tin ones that I threw away. I also bought a white board/message center type thing to hang by the phone, to help get rid of the paper clutter and mail that was always junking up the counter space. Now I sort mail over the trash can, deal with it immediately, and only tack up important things onto the board. As I’ve admitted in a previous post, I am not the best cook. The only thing I know how to make is reservations. But I’ve been trying to work on that since that first post, and over the last year, I think I’ve made some good progress. I still don’t enjoy cooking, but at least it’s a lot easier now. I had no idea how much of an impact a clutter-free, organized kitchen would have on my prep time. Even cake decorating (something I do enjoy) was so much easier and quicker, since I could just pull out my tools and get to work. Hopefully, now that the prepping and logistics of cooking is easier, it will propel me to continue in my goal to cook at home, and make more healthy meals. Who knew that decluttering could be so life changing? Up next… the living room and linen closet. Everything in its place, and a place for everything! 2. I wanted to talk about how people no longer discriminate between fiction and non-fiction in literature; how truth is relative; and start a discussion in the comments as to what we can do to correct that error in thinking. However, I feel like I was a bit remiss or perhaps irresponsible in not pointing out more clearly the theological problems with The Shack. I was writing my post from the perspective of a Christian, with the idea of a Christian audience in mind. I get in my little bubble and forget that this blog is accessible to the whole blogosphere and there might be people reading this other than my friends and acquaintences. If you are Christian who is grounded in the Word, there's nothing wrong with reading The Shack as a piece of fiction. As I said, it is an interesting, although not very successful or accurate, exercise in describing the Trinity. Christians should read all written work (both fiction and non-fiction) with discernment, and hopefully this book will spur you on to deeper study of the Trinity. However, this book can be potentially very dangerous for a new Christian, or for a non-believer. 1. The book presents Christians as not having understood the faith. In the story, experience outweighs revelation and Christianity must be revised in order to be understood. 2. The book presents a false view of God, that is contrary to scripture. 3. The book claims that God does not need to punish sin, which is also in direct contradiction to scripture. 4. The book presents the false view of the person and work of Christ, and a false understanding of the Incarnation. 5. The book has a false understanding of hierarchy in the Bible and within the Trinity. 6. The book promises freedom without presenting the Gospel. 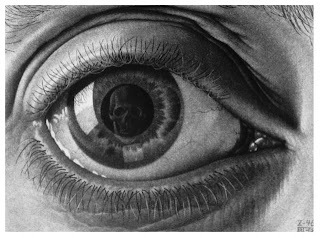 I've been thinking a lot lately about that old adage, "beauty is in the eye of the beholder." For example, I really dislike the movie The Fifth Element. I could easily write a long essay on everything I think is wrong with it. If pressed, I would have a difficult time finding one redeeming quality about it (maybe the blue opera singer... she was kinda cool). Yet, for one of my dear friends, it is one of her top 10 favorite movies. What does she see, that I don't? How does this movie speak to her in a way that otherwise just escapes me? Conversely, my favorite movie of all-time is The Crow. Yet I'll be the first person to tell you that it's not an Oscar-caliber movie, that it can sometimes be cheesy and that it sometimes plays like one long music video. Even with knowing all its flaws, why does it still hold such a special place in my heart? A while back, I wrote about popular songs that dealt with loss of a loved one. I found songs like "Tears in Heaven" by Eric Clapton or "Angel" by Sarah McLachlan to be beautiful songs in their own way, but I also felt like they were cliche hallmark cards that didn't speak truthfully about loss. They didn't strike me emotionally as did the song "Cancer" by My Chemical Romance. Is it because one song is better than another, technically? Is it the style of music? Speaking of styles of music, I can listen to some styles of rock music and be totally moved, while someone else can listen to it and hear "noise and screaming". In yet another example, the book club I belong to decided to read one of my favorite books, Great Expectations by Charles Dickens. It's a book I've read over and over again, I love it so much. Yet several of the book club members found it incredibly depressing, a chore to get through and just not very good. How could something that is so cherished and dear to me, be such a pain for someone else to read? I think the answer to this question is that beauty is indeed in the eye of the beholder. More specifically, we all approach art through the lens of our own experiences. We may have all experienced being in love, or the loss of a loved one, but we all express it in different ways. So what may speak to one person’s heart, may not to another, yet both works may stand on their own merits. That's what is so beautiful about the arts: they are so varied in their ways of communicating and connecting to people. I try very hard to remember this, and to be open to experiencing other art that may not necessarily be my cup of tea. Even if it doesn't speak to me personally, I just might learn something, and I think it helps me to learn more about the person who recommended it to me. Thank heavens for these differences of opinion! Imagine if we all agreed on what was good art? Life would be boring, and the discussions at my book club would be short and unnecessary. (A big "thanks" goes here to my book club, for forcing me to read outside of my comfort zone and expose myself to other genres of literature that I might not have picked up otherwise.) How about you? Do you have a favorite movie, or book, or type of music, that is near and dear to your heart, but that no one else seems to appreciate? Why do you think it connects to you, but not to others? I've been occupied recently with a huge decluttering, de-junking, organizational project, which I like to refer to as The Great Purge of Ought Nine. I received a lot of comments on my Facebook status message, whenever I updated it to say I was working on decluttering my home. It seems like clutter is a common problem and frustration for many of you. (It feels good to know I'm not alone.) So, I thought I'd depart from my usual themes on this blog (i.e. art, movies, music, literature) to chronicle and share my journey through the piles of junk and clutter to an organized and serene living environment. Hopefully you can pick up a few pointers along the way, or at least be inspired to tackle your own projects. First up was the garage. My husband and I live in a state with one of the highest car theft rates in the country. We've have had our cars stolen twice and broken into a couple of times when we lived in an apartment. So one of the main things we were looking forward to when we purchased a home was being able to lock our cars up in the garage at night. Consequently, we've been motivated to keep our garage clutter-free, so that we can fit the cars inside. It didn't make sense to us to have two cars worth thousands of dollars sitting outside, giving precedence in the garage to a mound of junk that altogether probably isn't worth $20. (Think about it.) However, there was a significant pocket of junk in the little alcove by the water heater. It needed some clean up and organization and I wanted to make room to start stacking the boxes of junk for the yard sale. I went through our outdoor Chistmas and Halloween decorations, throwing what was broken or faded, or past its prime. Then condensed what we had into nice storage boxes. I sorted through boxes of junk that had been dropped off by various family members because they thought we "might be able to use it". One of the rules in Walsh's book is to not let your house become the dumping ground for all your relatives' stuff, which they can't muster up the courage to throw away themselves. That's a rule I need to take to heart. I also called my brother and told him to come and get some of his things that we were storing for him. I organized what few gardening supplies and tools we had onto a little shelf, along with the few car maintenance supplies we had. Lastly, I set aside some of the nice clean cardboard boxes, so we could grab one and fill it as we decluttered the house. I even pulled the cars out and swept the garage. It was a good feeling, and I was on a roll. Next was the laundry room (or what some people would call the mudroom). This had also become a dumping ground for all kinds of odds and ends. I organized and consolidated the laundry supplies. I went through the assortment of keys on our key rack (it looked like we were a family of janitors, we had so many keys) and threw the ones I knew were no longer needed and labeled the ones that were important. I took the pile of rags and towels I use for cleaning, sorted and kept the best ones and threw the rest. This was also the last resting place for all our shoes, since we take our shoes off when we first come in the door. So I sorted the ones to keep, the ones that could be sold, and tossed the rest. Lastly, I organized the shelves of household cleaning products, including our tool set and other boxes full of household repair items. I must admit, I got the giggles as I lined up our cleaning products in nice neat little rows, since I felt like I was channeling Mr. Monk. It's amazing how much more functional this room is now. I didn't realize how much extra time it was taking me, when cleaning the house or the bathrooms or whatever, to dig through the shelves to locate my cleaning products. Everything in its place, and a place for everything. Experiencing immediate results and benefits of the decluttering certainly helped me keep up my motivation to continue the process through the rest of the house. Next up... the kitchen. Allegory is a form of extended metaphor in which objects, persons and actions in a narrative, are equated with the meanings that lie outside the narrative itself. The underlying meaning has moral, social, religious, or political significance, and characters are often personifications of abstract ideas such as charity, greed, or envy. Thus an allegory is a story with two meanings, a literal meaning and a symbolic meaning. In my previous post, I discussed some allegorical novels that I enjoyed. In this post, we're going to talk about the bad...when allegorical novels just don't work. The two allegorical novels I read that were successful, were both young adult fiction and were both about the art of language. What's strange is that the other two allegorical novels I've read in the last year, which ended up being unsuccessful, were both adult novels and both dealt with issues of morality and religion: The Devil and Miss Prym and The Shack. In The Devil and Miss Prym by Paulo Coelho, a stranger comes to a small town with a tempting proposition for the townsfolk, to help him determine if human beings, in essence, are good or evil. I was annoyed the whole time I was reading this book, and not because I might have disagreed with the points being laid forth, but more in the technique and lack of artistry. The characters were obviously just vehicles or mouthpieces for the author to speak his own ideas through. Yes, I know that is somewhat the definition of what literature is supposed to do. Literature and art are mediums for the artist to get his deeper message across, but this book was very transparent. I could see the author pulling the strings on his puppets, instead of the characters being living breathing beings, whom I cared for, and therefore, would be interested in the ideas they had (or even the ideas they represented). I would have rather read a straightforward non-fiction examination of the topic, in the author's own voice. You can read my original review of the book here. I had a similar reaction to The Shack by William Young, which I read for my book club. ("Holla" to all the book club gals who may be reading this!) The story is about a father named Mack, who is coming to grips with a horrible tragedy in his family. As he is consumed by his grief, he receives a letter inviting him back to the scene of the tragedy: a shack. The catch is the letter is signed by God. Is it a prank or is God reaching out to him? Of course, curiosity compels him to return to the shack, and the rest of the book is a description of the man's encounter with the Trinity (for those of you who may be unfamiliar with the Trinity, in short, it is one God, three persons - Father, Son and Holy Spirit. A more in depth description can be found here). The first section of the book (i.e. the tragedy that occurs, Mack and his family's reaction), and the closing section of the book (i.e Mack reuniting with his family, going back to his life), were both written in a straightforward third-person narrative style, without any allegory. The middle section of the book (i.e. Mack meeting God) is almost 100% allegory. I found the portions set in reality extremely compelling and was brought to tears several times. However, by starting out the book grounded in a standard literary style and then introducing an extreme full-blown allegory in the middle, it threw me off as a reader. The beginning of the book was so real and so believable, that it made the allegory seem ridiculous, unbelievable and hard to accept. Aside from the problems I have with the literary style choices, there's also the issue with the content. Young takes on an enormous task, in trying to explain a complex concept such as the Trinity. He is almost destined for failure from the outset. It is a topic that scholars have contemplated, wrestled with and written volumes on over the centuries. Young is not going to cover it all with one allegory in one small fiction-based novel, but he tries. I have to give him credit for being brave, but I also think he took on more than he could handle. I will admit that some of his illustrations and descriptions were enlightening and challenging, while some of his other illustrations were also somewhat heretical in nature. However, in some instances I felt like it seemed heretical because of his lack of skill in using the allegorical techniques (i.e. his symbols were muddy and unclear). We must remember though, that no one person's theology is perfect. As Christians we are all in a constant state of learning and growing (or at least we should be). I would like to think I have a better understanding of some concepts about God now than I did when I was a teenager. We won't have perfect knowledge (i.e. perfect theology) until we are face to face with our Lord. So I think the Christians that are causing the biggest fuss about this book and are condemning Young to hell, need to take a long hard look in the mirror before they throw the first stone. If you approach the book as simply one man's understanding of the Trinity, presented by using the literary tools of allegory and symbolism, then I think it is an engaging exercise; something that should challenge the reader to want to go do their own studying on the subject. Unfortunately, that is not how this book is approached by the majority of the readers in our culture today. In our current culture, truth is relative, and the fact that this book, or The DaVinci Code or Angels and Demons, is filed in the fiction section of the bookstore means absolutely nothing to readers of today. They take it as the definitive voice on the matter, especially if it reinforces their existing worldview. Additionally, I feel like our society is lacking in reading skills. We are, for the most part, illiterate. I don't mean that people can't actually read words and comprehend them, but rather, I feel like people do not know how to objectively read something, with brain engaged, with a full understanding of the literary tools being used, asking questions such as "What message is the author trying to convey? What literary techniques is he using to accomplish it? Is this fiction or a biography?" 3. Never sacrifice the art for the sake of the message. Otherwise, the means for effectively reaching people with that message will be diminished. I haven't read Hinds Feet on High Places by Hannah Hurnard or Pilgrim's Progress by John Bunyan so I don't know if those allegorical works about God are any more or less successful than The Shack. They are all on my reading list, along with another allegorical book that was given to me recently called With an Everlasting Love by Kay Arthur. So perhaps there will be a Part 3 to this series in the future... For now, leave me a comment and let me know what you think. Have you read The Shack? Do you enjoy reading allegorical novels? 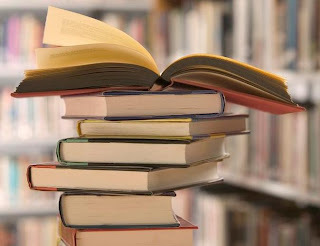 What do you think about our current culture's lack of discerning reading skills? So, are you going into withdrawals yet? It's going to be a long wait till 2010 for the next season of LOST, and then they will only have 16 shows left to answer soooo many questions. In typical LOST fashion, last night, for as many questions as they answered, it spurned at least a dozen more. My head is still reeling with the possibilities, and with the image of that bright white inverted LOST title screen at the end. How ominious! I'm going to be so sad when this show finally comes to an end. Until then, let us savor our final LOST discussion for this season. Since this was a two-hour show, I've super-sized my favorite moments; I couldn't pick just one! Jacob: "You found your loophole." And we discovered - that's not John Locke - it's Esau (Jacob's enemy) using Locke's form!!! Locke is still dead in the box!!! None of us saw this one coming, but in retrospect, we should have! There have been lots of foreshadowing over several seasons, in the sense that we have consistently seen someone/something appear to people by taking on the form of the dead (Ana-Lucia, Mr. Eko's brother, Christian Shepard, Alex, Libby etc.). It's a commonplace trick on the island. So it should come as no surprise that Jacob's enemy can also perform that trick. I had always assumed it was Smokey and/or Jacob that was making those appearances, but now I wonder if it was Esau all the long? Why does Esau want Jacob dead? Why couldn't he do it himself? What was the point of Esau having Locke killed, then bringing him and the whole Oceanic 6 back to the island; how did that create a loophole for him? Why didn't Jacob answer Ben, when Ben was making his accusations and wanting answers about the way Jacob had ignored him? Is it because he already knew what was going to happen? What did Jacob mean with his last words when he said, "They're coming." Who are "they"? Argh! Sawyer and Juliet confess their love and say goodbye before she gets sucked into the electromagnetic shaft. Sun seeing Aaron's dilapidated crib and finding Charlie's Drive Shaft ring. Jack: "Hang in there. Once we set off that bomb, it will save you." Sayid: "Nothing can save me." Jack: "I had her and I lost her." Okay, would someone please tell me, when did this show become so incredibly depressing? Last night's season finale was filled to the brim with destroyed relationships, depression, hopelessness and suicidal talk. Detonating a bomb will kill everyone and wipe the slate clean...? The LOST writers need to dial a suicide hotline and get some help. Seriously. I'm worried for them. I must give kudos though to Josh Holloway (Sawyer) and Elizabeth Mitchell (Juliet) for their superb acting. I truly felt how awful that final moment was for their characters. Gut-wrenching! I also teared up when Sun saw Aaron's crib and then found Charlie's ring; it was a reminder of LOST episodes past, of happier days on the show, when we had moments of hope and victory. Those have been few and far between lately. Case in point, one of my favorite characters, Sayid, is now begging for death. He used to be on a journey to redeem his past sins, and could always be counted on for a heroic victorious scene. But now that the LOST writers have given him his happily ever after with Nadia then cruely ripped it from him, there's no hope for his happiness. And then there's Jack. He's never been one of my favorite characters. I was mostly indifferent to him, until they started showing us his backstory, about his need to try and fix things, and his torment of always trying to be the best, be perfect, live up to his parent's expectations etc. I can (unfortunately) totally relate to those things. He has been presented with something that cannot be fixed - his relationship with Kate. Now he just wants to wipe it all away like it never happened - be it with vicodin or a nuclear bomb. How sad that he can see no other way out. In fact, the only bright, happy moment we had in last night's show was seeing Bernard and Rose living out their "happily ever after". They are such an awesome couple. I didn't realize how much I'd missed them until they appeared on the screen. Rose brought a lot of heart to the show. (Remember the episode when she taught Charlie how to pray and have faith when Claire was missing?) Thank heavens for that bittersweet moment with Rose and Bernard. I hope whatever Jack/Kate/Sawyer do with the bomb et. al. doesn't run things for Rose and Bernard (or our other happy couple, Desmond and Penny). Locke (offering Sun a canteen of water): "Drink?" Sun: "Do you have any alcohol?" Rose: "It's always something with you people, isn't it?" After watching this show, with its confusing revelations and depressing death-wish characters, I felt like I needed a drink too, so perhaps it made Sun's line funnier than it actually was. I loved Rose's observation, which was similar to the wink-and-a-nod comments usually given to Hurley, where they make a commentary on the writing or the show, or state what the audience is thinking. In all seriousness though, Rose makes a good point. It's always something with those people. Do they even know how to just be happy? Are they so damaged that they no longer have that ability? It may sound like I'm really bagging on the show, but all in all, I thought it was another great finale. Entertaining. Engaging. I've said it before, and I'll keep harping on it until the writers listen, but I really need some hope, some victory, some promise of redemption for these characters. Otherwise, its going to become a tedious exercise to watch these people every week. I'm trying to trust the writers, and trust that they know what they are doing, but I'm still worried. I guess I'll have to wait until 2010 to find out. The fish Jacob catches and eats at the beginning of the show is a "red herring". Get it? A "red herring." When we see Sayid and Nadia in the flashback, was the assassin really targeting Sayid, and did Jacob save him by delaying him from walking into traffic? What's in the guitar case Jacob left with Hurley? Why did Hurley take it on the plane with him? What is up with the ash ring around the cabin? Is it some sort of portal that Jacob and/or Esau were using? Is Esau and the Smoke Monster one in the same thing? Are we going to see Juliet, Locke and Faraday in the next season? Are they all really dead? In the episode from a couple weeks ago, why did Richard say he "saw them all die". Is that refering to something that's yet to happen? The phrase "What's done is done" was repeated several times in the finale. The idea is similar to the other repeated phrase "Whatever happened, happened". Is this the rule the LOST writers are going to stick to? How will they rectify this idea with the mess they have made of the time line? 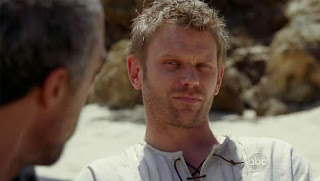 In the flashbacks with Jacob, all the Losties were all physically touched by Jacob. What was he doing to them? Cursing them? Why did he seem to "choose" them? Why did he bring them all to the island? I told someone recently that J.J. Abrams must be a modern day King Midas, because anything he touches turns to gold. Case in point: his new TV show, FRINGE. 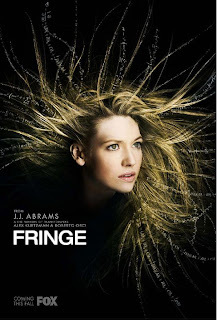 I mentioned FRINGE at the beginning of the season and haven't really blogged about it since, mainly because of life in general. I haven't been able to blog consistently and any free time was spent on the LOST posts. So why am I mentioning it now? Because the amazing season finale to FRINGE aired tonight. The first season is now done. So if you missed out, now is the time to catch up with the show either on Hulu or wait for the DVD release. Okay, maaaaybe that's not the best description of the show. Let's try that again. Sounds like fun, huh? If you've already been watching, then I'd love to chat about the show with you, especially tonight's season finale. For almost the whole season I've had an interesting theory about Peter, that I'm pretty sure was confirmed tonight. I'll post it in the comments, to try and avoid spoilers here. Also, for those of you who haven't discovered it yet, there's a Fringepedia with lots of great trivia. Did you know the glyphs actually spell out words in each episode? Have you spotted the Observer in every episode? I just love this clever, imaginative and entertaining show! Ben: Then why are we going to see Jacob? Uh... I think the expression on my face pretty much looked like Ben's face. Say what?!? Why does Locke want to kill Jacob? It seems like Locke is taking directions from "The Island." I thought Jacob and "The Island" were one in the same thing. Is "The Island" a different entity than Jacob? Do they not work in tandem? Will Jacob look like Christian Shepard or will he take on a new form? More importantly, will Locke be successful in killing him? What ramifications will it have? Is Locke trying to free his people? Argh! Leave it to LOST to instigate a dozen burning questions with just one line of dialog! Jack: All the misery we've been through, it would just wipe it clean. It would've never happened. In those few lines, I was immediately reminded of all the things Jack has been through. His sweetly blossoming romance with Kate in those early episodes, which later turned into a dark co-dependant unhealthy nightmare once they were back home. The losties have been through so much. In some ways, I'm with Jack. I want to wipe out some of this crazy stuff and go back to that time on the show when things weren't so complicated. When the LOST writers could spend more time on the characters and how they've grown, changed, found redemption for their pasts, and learned to trust each other. Since that time, several of the character arcs have gone off the rails and taken a turn in to crazytown. I'd like the LOST writers to get back on target with the core of the characters, and have that drive the plot, instead of this time travel plot device nonsense. It was cool at first, but all the time travel physics is starting to really hurt my head and is wearing on me. Plus, I must admit, I have a concern that the novelty of the time travel plot line will overshadow the heart of the show (if it hasn't already) and negate any free will the characters may have and destroy any meaning their actions may hold. If they are slaves to destiny, then nothing matters. They are just puppets. Not sure I like that. (Living Deadman - you gotta jump in here! You know I totally set you up for a philosophical discussion just now!) Although, this show has always played with the ideas of fate vs. free will, faith vs. science. I guess I'm just hoping they come down definitively at some point on how their LOST universe operates. On which side? And finally, here's the funny moment of the night. Hurley: Alright, dude. We're from the future. Despite my earlier complaints above, I'm still fully committed to seeing this show through to the end. But I will keep espousing my desires, in hopes that the LOST writers happen to be trolling the blogoshpere and see them. (Not likely, I know, but a fan can dream, right?) I keep trying to trust in the writers, since they've never let me down or disappointed me in the past, with the plotlines that I really cared about (i.e. Charlie, Desmond & Penny, Sayid). For now, let's ponder on these remaining thoughts from this episode. Eloise shot her adult son, while being pregnant with that yet unborn son. How creepy is that? And what about Richard's statement that he remembered the Oceanic 6 in the recruitment photo because "he watched them all die". What does that mean? And we received some subtle confirmation of what we already knew, that Richard is some kind of immortal being. Have you noticed that Sun has become the new Michael? Michael spent two seasons yelling out one line of dialog over and over again, "WAAAAALT!" Now, Sun has been relegated to saying, "Do you know how to find my husband, Jin?" to anyone who will listen to her. Will her and Jin and their baby ever be reunited? Oh, and by the way, where is Claire? Did Kate forget that was her reason for going back to the island, to find her? Next week will be bittersweet; it will be the season finale, which is always sad, but the season finales are always filled with awesome revelations, shocking moments and usually some good action scenes. The finales have always been satisfying, even if they've left us on a cliffhanger until the next season. I'll be making a cake to celebrate; I'll try to remember to post pictures with my finale blog post. Until then, please leave me a comment and let me know what you think. Did you like tonight's show? What are you hoping to see in the finale?